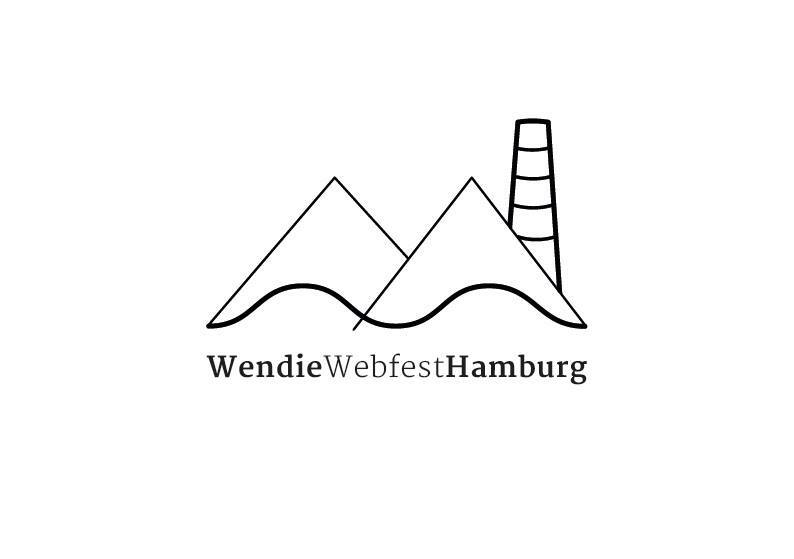 On September took place the first edition of the Wendie Webfest Hamburg and I decided to interview it’s Founder a Director, to tell you something more about this new and “weird” webfest. 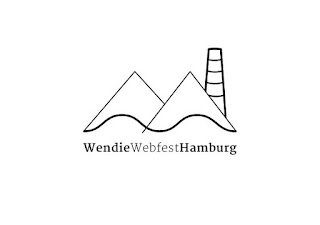 On September 16th and 17th, in Hamburg (Germany), took place this new, young, “weird”, awesome webfest. Which one? The Wendie Webfest, of course! Unfortunately we coundn’t be there, but we followed everything throw social networks and, well, it seemed to be really fresh, great and different. «Wendie is a beautiful female horse who loves watching web series more than anything else in the world», told me Nina Heinrich, the Founder and Director of this new German webfest. So, I decided to interview her, asking everything about this festival, which name is the fusion of “Web” and “Indie”, totally focused on web series, which “are not a nerdy little brother of TV series” but the deepest and “natural development of how media perception always changes“. This event, created for indie web series and their own creators, has a young, prepared and determined team behind, composed by Nina (26 years old) Sebastian Droschinski (29), Nick Buckenauer (27), Silke Heinrich (47), and Nadine Mouni Lagab (27). The initial idea for the Wendie, born from a discussion between Nina and Sebastian, during a week-end in Vienna, where they met up a film maker who they knew at the Rio Webfest. Those two young, smart and creative minds, thought that their city, Hamburg, would be perfect for celebrating a webfest, and so they decided that they “had to be the ones to set it up and that it had to happen right away, with no more time passing“! But, let’s read the interview to the Director, Nina. 1) How was this first edition? Did it reflect your expectations? The Wendie-Team was going for a festival, that would include experimental forms and concepts of web series and offer their creators an environment that leaves time and space to meet, connect and gather motivation for continuing a project or starting a new one. We wanted the makers of web series to feel that they and their digital content are the focus of the whole event and therefore very much welcome and appreciated as guests. I received the feedback that we managed that quite well. Still, there are two hearts beating in our Wendie breast: the web series scene on one hand and the district of Wilhelmsburg (where our festival took place) and its community on the other hand. Including people from the district and make them get closer to this new form of digital narration was also a big aim for us. Especially in Wilhelmsburg film culture is very much loved and the notion of independency, underground and do it yourself that makes indie content on the web so different from what we know from TV f.e. fits very well to this district. Our success rate here: We definitely got some audience in the screenings and panels, respectable for the debut edition of a webfest – but still we want that to be much more next year and we are already now putting a lot of thinking into how to reach out even more to people who are not yet involved with web series and to widen the fan base via our festival. 2) Creating a webfest is a huge challenge: what did encourage you to build up the Wendie? 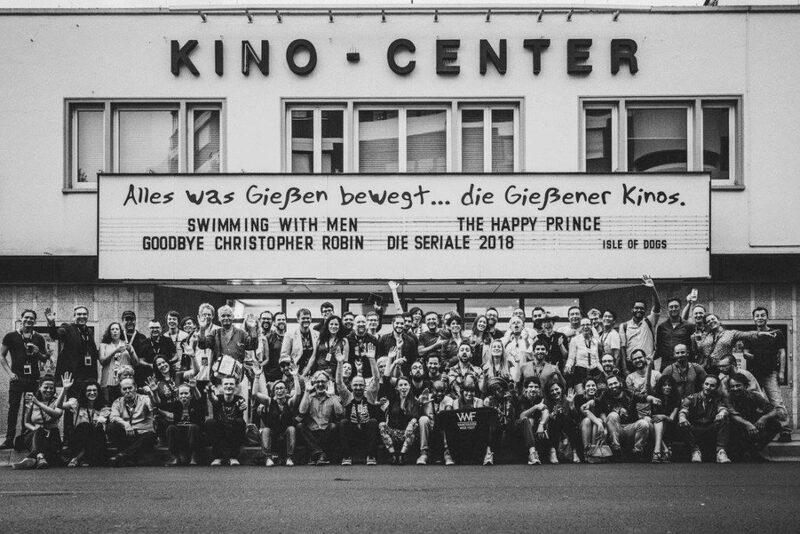 I worked alongside my today’s co-directors, helping them with the PR and distribution (including very successful screenings in Hamburg-Wilhelmsburg!) of their web series projects. That’s when together we started visiting web fests all over the world. We thought: People in Wilhelmsburg would love that! And people all over the world would love Wilhelmsburg. Loads of web series makers are based in Hamburg, but somehow the strings are only tight within the city and it was this worldwide bond between web series creators that fascinated us. As I’m based in cultural management, it suddenly felt like a kind of obvious duty to set up that festival. Also we as a team wanted to create something that would reflect our personal perception of what makes the web series as media format so special: independency, rawness, that sometimes you have to choose provisory ways instead of making compromises – being born from pure vision and willingness to tell a specific story, no matter what. The infrastructure in Wilhelmsburg is not perfect for an international festival, because the district is not touristically developed – but it happens there anyway, because the place is special and beautiful and that’s what made the weekend even more extraordinary. 3) How many web series attended this first edition? And where were they from? We invited 37 series to our official selection from 16 different nations. Present at the festival were lots of peope from UK, probably because of the convinient Ryan Air connection. But we had also guests from Korea, USA, Spain, Ireland and of course Germany – Berlin, München, Dortmund, Kiel and Hamburg. 4)Are you already thinking about the next one? Sure. All the time. It will be great! 5) And what do you expect from the next one? Even though the location was full anyhow: more audience from the outside! Everybody in our district and a lot of people in the rest of Hamburg should know about our festival and understand that web series are not a nerdy little brother of TV series, but will “be what’s next” (to quote Berlin Webfest) – the natural development of how media perception always changes. We support those artists who makes their things and tell their stories against all odds. Discussing and reflecting media topics in a critical manner, should become a much bigger part in our second edition. This time we talked about “What is Wendie?” in our international panel – next time we will look more closely behind the scenes of the web series community: What challenges are new and in which way did our engagement maybe also fail during the last year? What can web series offer to recipients? and Why should one get involved? 6) Describe the Wendie with three adjectives. Kind of weird: Maybe sometimes people were a bit confused about the way things were at Wendie: for example, they seemed confused because our jury didn’t honour the best comedy or the best cinematoraphy, but was asked „Which series are the most Wendie?“ – meaning originality, true willingness for storytelling, all in all having a unique approach that needs to be recognized. That’s why we have prices from 1 to 3 and, all of them, took home a wonderful self-made award from steel, symbolizing the heavy industry of our district and the do it yourself spirit. Loving: Of course we are doing this festival for us, but the reason why we see something for ourselves in this whole operation, is that we truely believe this is what the future of serial storytelling looks like! We don’t want to miss the opportunity to be part of making history. We love the world wide web series community and Wendie is our way to throw a party for the creators. Dreamy: because we came to stay. 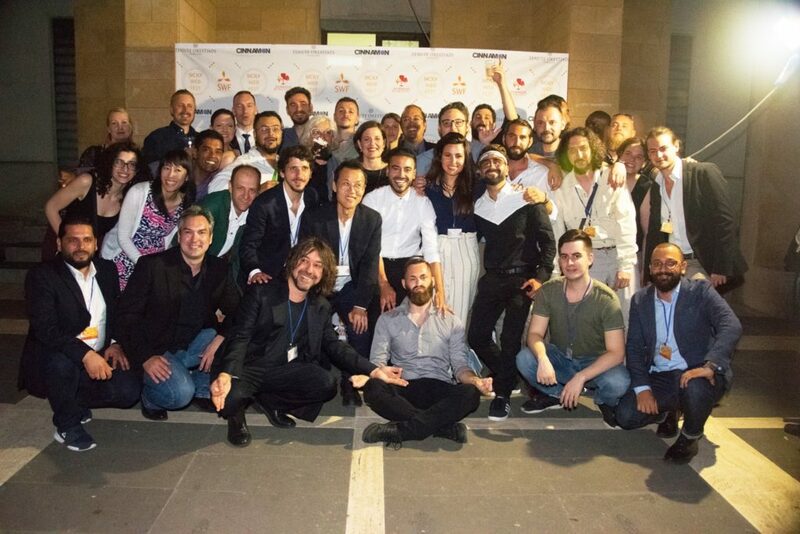 7) How was organized the webfest and its awards ceremony? How it was organized? Pretty bad 😉 But people hardly noticed, thank God! 8) Tell me something about the winners (who they are, where they are from…) and the evaluation system you adopted and so on. Tell me! We did the submission viewing within a committee of 4-10 people, varying constellations. After watching a series, we would always stop and, one after the other, had the possibility to write down points from 1-10 for criterias like story, acting, originality etc. Then the series was open for discussion and after every viewing, round a couple of series were selected or not. Of course the general impression counted a lot, but still we mostly looked for series that were production-wise, maybe not perfect, but had a great premise and seemed to fit to our festival. Still we had to turn down a lot of series that were really funny or lovely made aswell. But our program ran on a tight schedule. The rest, then, was absolutely up to the jury, who was also aware of what the Wendie philosophy is about. All three of them – Prof. Krankenhagen (popular culture Professor) Eva (Creative Europe Media Board) and Mikael (director of Dub Web Fest) – just loved Discocalypse and had to make some hard decisions aswell. That’s why they came up with the extra category of special mentions for two of the series they wanted to honour. 9) Did this first edition bring some new collaborations? Thousands. Especially with regard on the creative industry of Hamburg we have been noticed and are now in contact with loads of players who are helping us a lot, communicating our festival, handing important contacts or are helping directly with the festival. International-wise we deepened our connection to other festival directors – our special festival friend Webfest Berlin got us in contact with the embedded streaming platform Stareable and also some representatives of university media departments are hooked on our mission and are asking us for more insights. World Wide Webserie will be defenetly there! 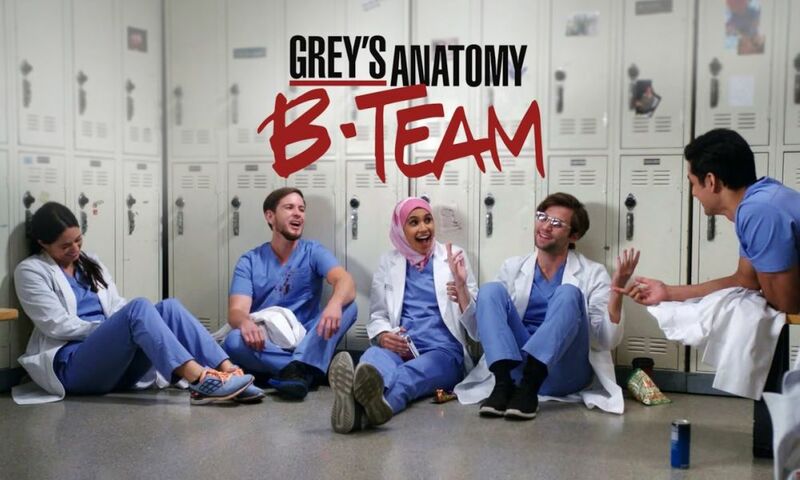 Find out the team (look below), visit the official website www.wendiewebfesthamburg.com, follow it on Facebook and Twitter and keep following World Wide Webserie to not miss the subscription deadline for Wendie 2017! Nick Buckenauer, Co-Director, 27, media and informatic studies, he organised various socio cultural projects in Hamburg and surroundigs. 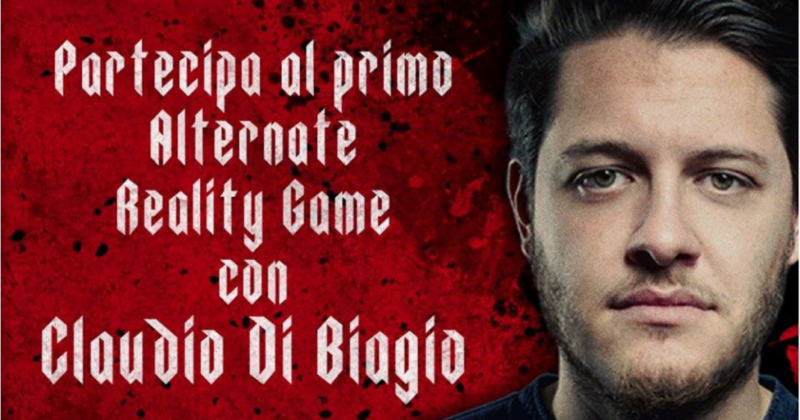 He also wrote and produced 2 web series – „Kumbaya!“ (www.kumbayaserie.de) and „Gut Holz“. Silke Heinrich, sponsoring and finances, 47, works in business administration. 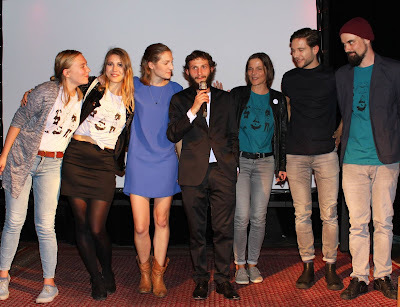 She also organised screenings in web series context in Hamburg. Nadine Mouni Lagab, cooperations, communication and PR, 27, cultural studies. She ran PR events for the house of literature in Freiburg, now based in Hamburg.